Synopsis: The ongoing rebellion of Tacfarinas, and the death of Juba. 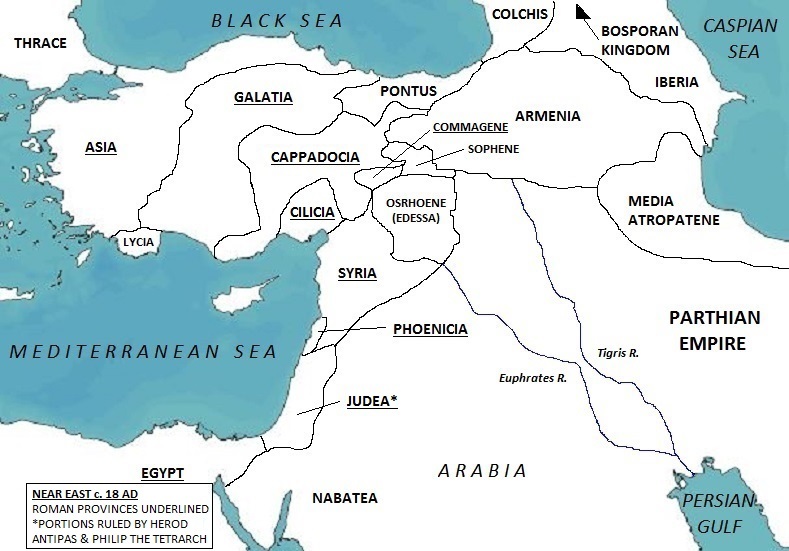 Synopsis: Germanicus travels to Syria to assume his Eastern Imperium. The story of Germanicus is one of the great Roman tragedies.While the House of Octavian was consistently beset by scandals and misfortunes, the Germanicus affair represented a major turning point in both the reign of Tiberius and the legitimacy of the Julio-Claudians.Before Germanicus, the Principate was viewed with respect tinged with fear.After Germanicus, fear became dominant.Before Germanicus, most Romans were at least willing to give Tiberius a chance.Afterward, they just hoped to survive him.